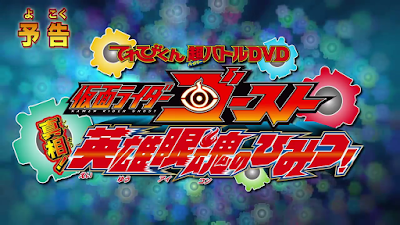 Here's the promotional video for the newest Terebi-Kun Hyper Battle DVD, Kamen Rider Ghost: Truth! The secret of the heroic Eyecons! which will also feature the Da Vinci Eyecon! Are they seriously trying to make movie war Genesis canon with the series. That movie was a continuity nightmare! Da Vinci is my Absolute Favorite Historical Figure it's about time he got a REAL Gosuto Aikon! And you're saying that the movie that had OOO & New Den-O didn't as well?